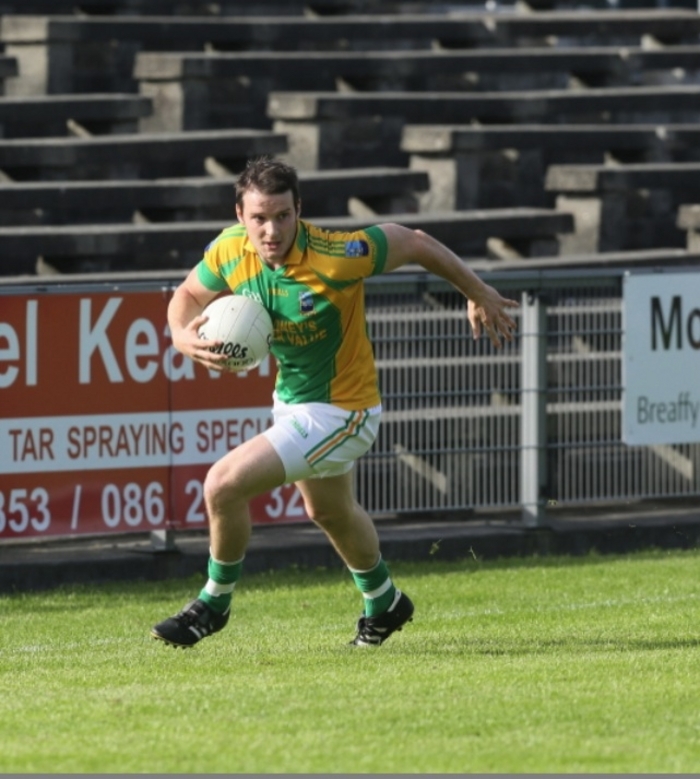 Ardnaree's Eoin McCormack will be hoping his side get off to a winning start this weekend. After Westport going all the way to glory at All Ireland level in this grade in the spring, there is plenty of inspiration for the 16 sides in the mix for this year's intermediate championship. In group one the Belmullet, Ardnaree, Ballyhaunis and Parke are involved in a fascinating four way tussle for progression to the next round. On Sunday, Belmullet and Ardnaree will meet in Erris, while Pake will travel to east Mayo. While there won't be too much between these sides, Belmullet and Ballyhaunis should come out on top. In group two, Shrule-Glencorrib who were beaten after a replay in the semi-final last year by Westport will travel to Swinford. Both sides have lost a number of players from last year, but the south Mayo men might just have enough in this one. The other game in that group is the meeting of Mayo Gaels and Islandeady in Mayo Abbey. The West Mayo men have been looking like a club on the up in recent years and a win in this one would set them up nicely for a tilt at the last eight. Last year's junior champions, Lousiburgh will get their return to the middle grade underway with a tough encounter in Cong against The Neale. Since they came up from the junior ranks themselves a few years ago, the south Mayo men have adapted well to this grade, but with a bit of wind behind them from their Mayo and Connacht success last year, the seasiders should get off to a winning start. The second game in group three is the meeting of Bonniconlon and Burrishoole in north Mayo. The west Mayo men were the nearly men of this grade so often a few years ago, but have slipped back a bit. However they've had a good start to the league and will expect to come home with the points. In group four it's all west Mayo meeting on Sunday afternoon at 2pm in Castlebar, where the Mitchels B team host Tourmkeady. The Gaeltacht men are moving well in division 1D and are preparing for the Comortas competition later this summer, but the Mitchels B team is stacked with plenty of experience and talented youth it might be a tough day at the office for the visitors. The other game in the group is the meeting of two of the potential heavyweights of the grade when Kiltimagh and Moy Davitts meet in Foxford. Last year's beaten finalists, Kiltimagh, will fancy their chances of going one better this time around and already won the league encounter between these sides earlier this season. Page generated in 0.0841 seconds.